My wife is delighted with the blouses, they are so well made & the material so fine. Never had such perfectly made blouse before, such beautiful material & the making is superb. Speedy delivery. Excellent fit & all checks matched up. Really nice to find such quality these days. Perfect fit, very comfortable, exactly as described and delivered promptly. 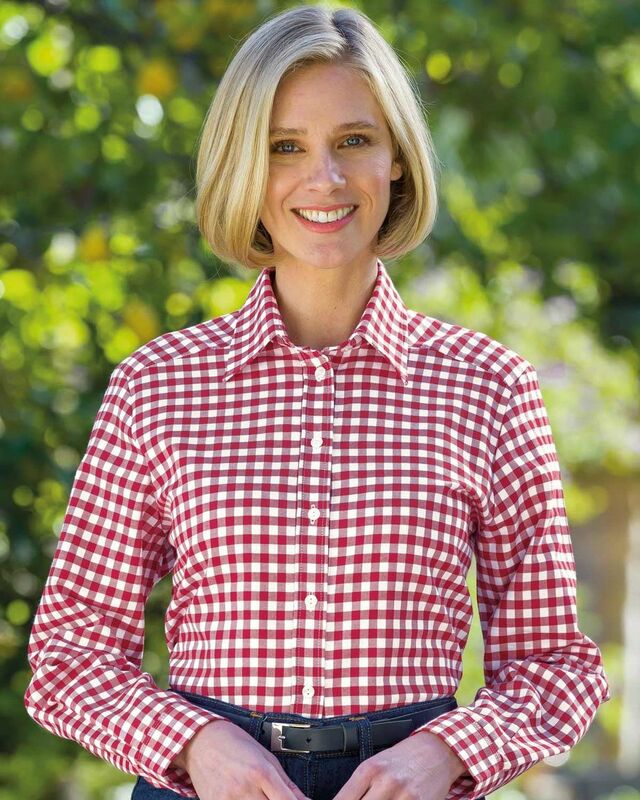 Ladies classic checked blouse cut from warm handle pure cotton. 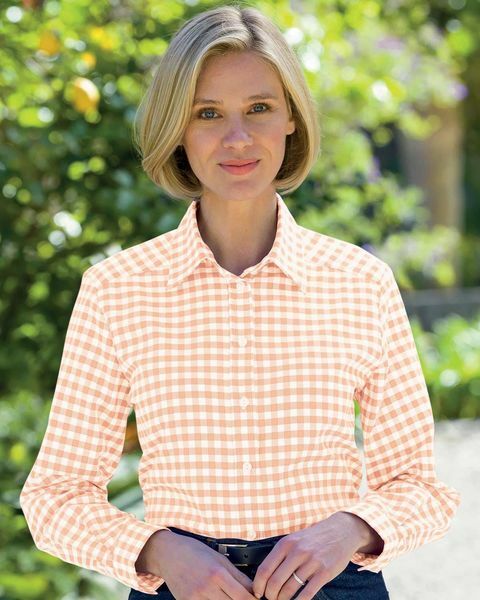 Produced in the softest quality cotton, this blouse is perfect for those cooler days. with a two-piece collar, gently rounded hem and button cuffs. Coordinate with our selection of skirts and trousers to achieve a classic look. "My wife is delighted with the blouses, they are so well made & the ..."